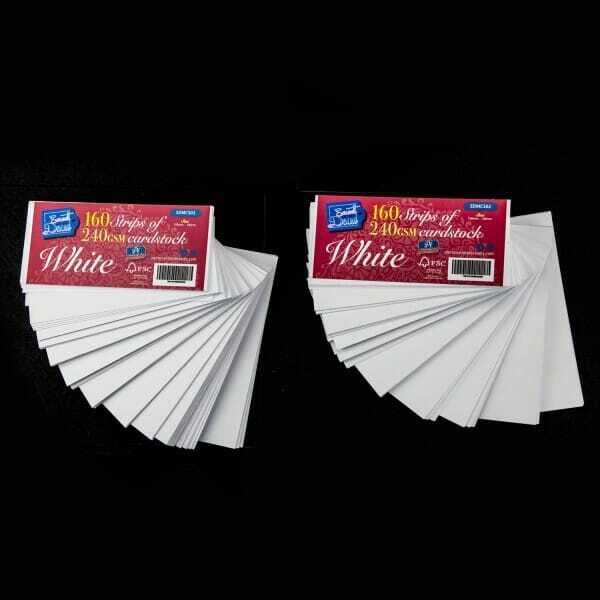 Pack of 160 White Card Stock Strips. The paper packs and card from Sweet Dixie are versatile and heavyweight allowing them to be used with lots of techniques including distress ink and watercolours. The smooth surface is also ideal for stamping on enhancing your options of art and craft projects. Customer evaluation for "Sweet Dixie - Pack of 160 White Card Stock Strips"